Choose between a rubber sole or soft suede sole. 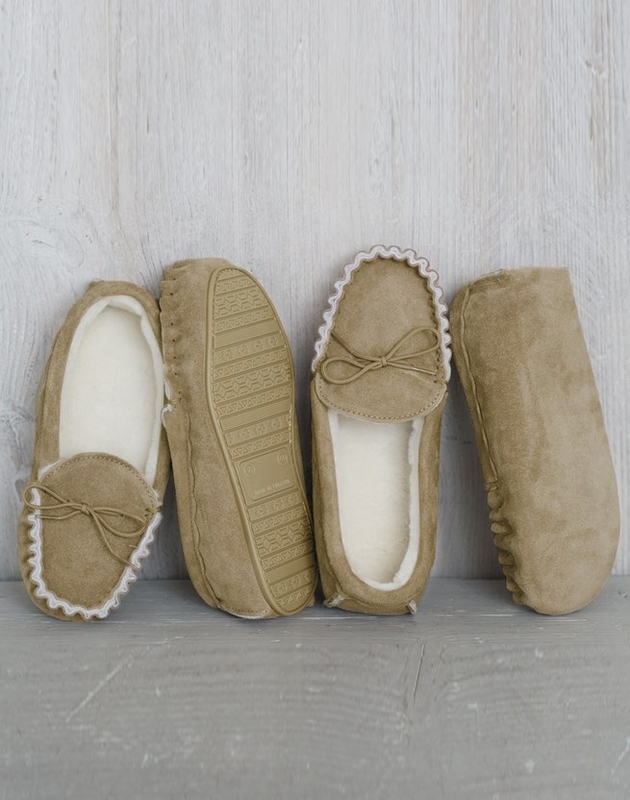 Lovingly handcrafted, these suede and shearling classics will give faithful service for many years. 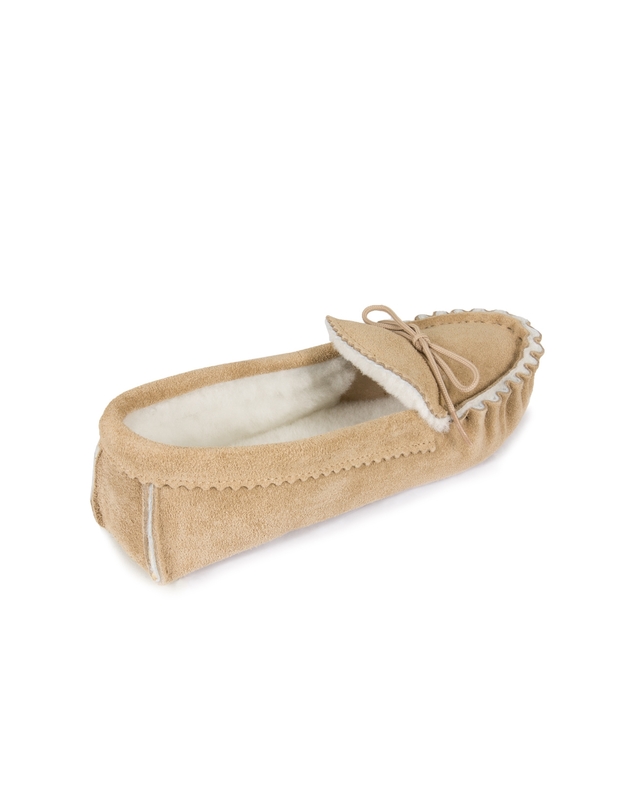 We also offer a Lounger style which has a deep shearling collar. Excellent service. Am "running in " the moccasins. Very nice slippers. Many thanks. Prompt delivery, as described sheepskin. Very comfortable am looking forward to wearing them in. My husband loves his new slippers. Saying instant comfort and true to size.